Are you strapped in and ready to revel in it? 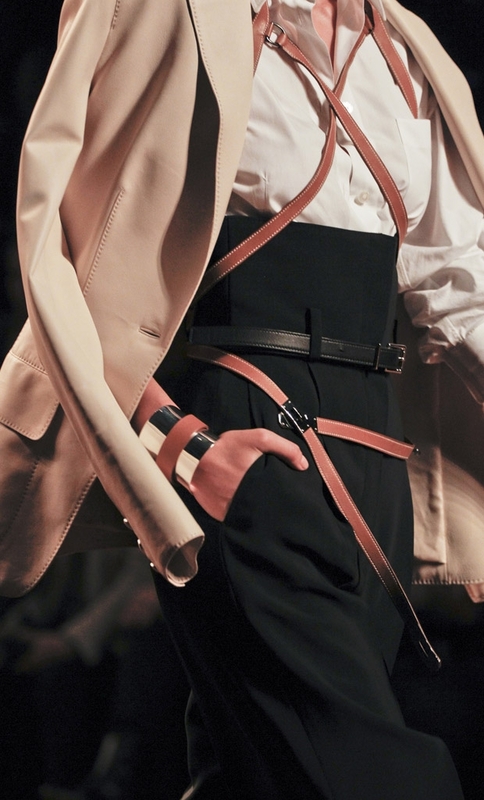 High waisted at Hermès SS11. That high waist wasn’t wasted on me – and the multiple straps going in all directions leave me with a clear direction on dressing. This look will influence me well into Fall. You could say I’ve fallen and can’t get up. Well, sometimes a girl has to pick herself up by her haute bootstraps! 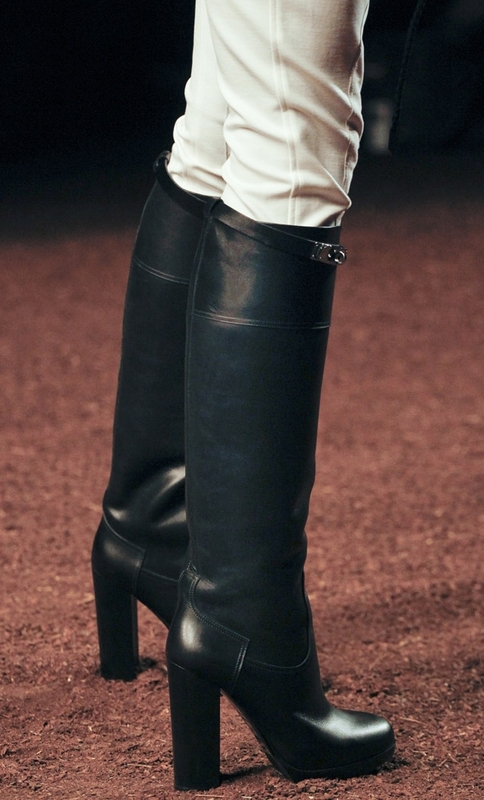 A riding boot with heels? We are together at last, my love! So it seems, I am flirting with Fall as I write a Summer post – like JPG was in his last collection for Hermès – one of his best, in my opinion. Lots more of Monsieur Gaultier in the coming weeks, too – the Montreal exhibition, Couture, etc., etc.